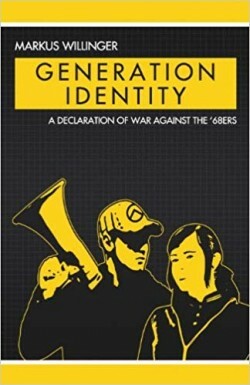 The European-wide organization known as Generation Identity is viewed as a leading beacon for the Génération Identitaire movement. Their influence has spread throughout Europe since being set up in 2012 by Vienna activist Martin Sellner. UK Leader Ben Jones said "We want to demonstrate discipline, self-respect and to fundamentally set an example for others to follow. The left & right dichotomy in the English-speaking world was fundamentally misguided. I discovered a tendency called the 'European New Right' in my mid-teens. Largely French in origin, it seemed to seek to get to the heart of a host of issues; without any interest in labels or bourgeois sentiments. Generation Identity was born out of this current”. GI has made its presence known through its use of social media, distributing its literature and displaying its slogans in major cities. The group’s connections and associations stretch across Europe and have even gathered support in America. GI aims to ‘energise’ the youth of Europe into taking notice of the current political landscape. Members are offered adventure holidays, public demonstrations, trips abroad and martial arts training. The movement’s most prominent chapters are located in France, Germany, Italy, and Austria. More recently, they have built a strong foundation in London with Mr. Jones as the leader. It has held demonstrations in Edinburgh, Birmingham, Dublin, Bradford-on-Avon, Sutton, Telford and Oxford. One of the group’s most notorious operations took place in 2017, under the name of ‘Operation Defend Europe’ which took place in the Mediterranean and aimed to protest migrant ships docking in Europe. The movement’s beliefs are centered on the preservation of European identity. GI believes Europe's identity is under threat from the effects of mass immigration from developing countries but denies it promotes racism or demonizes other cultures. The group accuses the ‘establishment’, particularly the EU, of denying the identity of the people of Europe due to its policy of mass immigration. One of its demands is for the repatriation of illegal migrants and reversing the flow of EU migration. Last week a series of stickers and leaflets were distributed outside faith rooms and safe places on the University of Salford and the University of Manchester campuses, which led to a demonstrated being organized by student representatives of Stand up To Racism, outside the University of Manchester’s student union building. The demonstration was organized less than forty-eight hours after the literature was discovered. International Student’s Officer, Riddi Visu responded to the distribution of the leaflets by reaffirming the University of Manchester’s stance against intolerance. 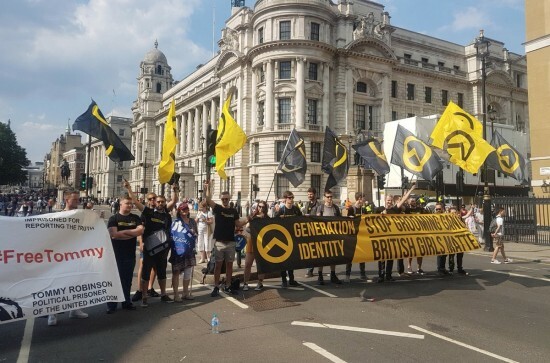 Generation Identity denies wanting to promote any racist or hostile views. “We've no interest in chauvinism or talk of 'supremacy. It makes no sense to us”. GI vowed to discipline any members found to be posting stickers and leaflets in order to cause offense. Ben Jones said: “We operate fully within the law and apply precisely the amount of pressure we believe is required to advance our ideas, which are already present in the minds of millions of normal people, whether it's opposition to mass-immigration or complete alienation from the political classes. "If we're 'extreme' it's only because we refuse to consent to a status quo that feels its grip slipping. I have no reason to believe this was a member of Generation Identity. We affirm our beliefs, we don't seek to predicate them on negation. It's possible that someone did this either to sully our brand or as a basic lapse of judgment. Were it a member, they'd be disciplined or removed”. The group insists that this will bring both stability and security to European countries. Underneath the slogan ‘Immigration Destroys Europe, Emigration Destroys Africa’, the group calls for development work to be directed towards the third world countries that produce the largest numbers of migrants in order for people to remain in their homelands and fix the problems facing them from within. One of their key demand is the call for governments to secure their borders and regain security over European territories. They insist that borders must be ‘categorically defended against mass migration and The Great Replacement’. The Great Replacement is a term coined by French writer Renaud Camus. The term refers to the belief that one generation of Europeans can be irreversibly replaced by migrants coming from Asia and Africa. Essentially, swapping one group of people for another. The Identarian movement insists that uncontrollable open door policies implemented by the European Union are the tools of which will bring about the completion of The Great Replacement. The Identarian movement is a movement that has its roots buried deep in European history and literature. Their beliefs in the European identity drives them and their influence stretches across the continent. The Identarian movement is a unique ideology for some but deserves careful study just like any other. Canada becomes second country to legalise recreational marijuana: will Britain be next? How would the people of Manchester feel if the Uber ban hit the North West?